Religion in the controlled areas of the Republic of Cyprus can be broken down as follows:Orthodox Christians 89.1%Catholic 2.9%Protestant or Anglican 2%Maronite, Armenian 1.4%Islam 1.1%Buddhist 1% Atheist or Unknown 2%Most Greek Cypriots, which make up the majority of the population, are members of the Autocephalous Greek Orthodox Church. If you take the whole population of the Republic of Cyprus, over 73% are Christians. Turkish Cypriots who live in the occupied north of the island are officially Sunni Muslims. Apart from these large communities you will also find Baha’i, Jewish, Protestant, Anglican, Catholic, Maronite and Apostolic minorities living in Cyprus. The Greek Orthodox Church uses the Greek liturgy and is one of the oldest Eastern Orthodox autocephalous churches since achieving independence from the Patriarchate of Antioch in 431A.D. The first bishops to hold ministries in Cyprus were Apostle Lazarus and Barnabas after the resurrection of Christ. The Church of Cyprus is recognized by the ecumenical patriarch of Constantinople but retains its autonomy under its own archbishop. The founder of the Greek Orthodox Church in Cyprus is considered to be Apostle Barnabas and there are countless churches in every city and village, 67 monasteries and 16 Bishops who are ruled at this time, by the Archbishop Chrysostomos II. 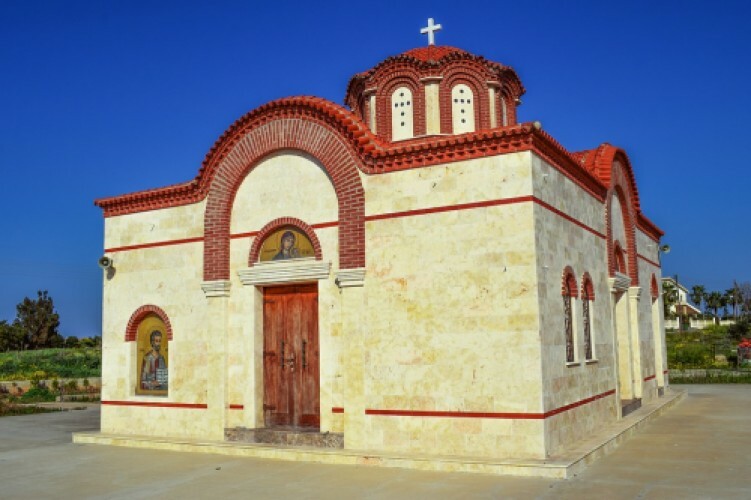 The Orthodox religion recognizes seven sacraments, namely baptism, confirmation, the Eucharist, matrimony, ordination, last rites and funerals.Although there are many small denomination churches that have sprung up all over Cyprus below are the details of the larger congregations.